One of the common diseases in children is curvature of the spineand. Severe curvature have a significant impact on the function of internal organs. It is important to notice the problem and contact your doctor. First and foremost, pay attention to your body, rather than on its proportions. Stand in front of a mirror and look at the shoulders. If one of them is visually higher than the other, it is a reason to consult a specialist and discuss with them the fact. If the thoracic spine has a convex form, and its angle more than 45 degrees, there is warping, go to the hospital. If you notice signs of slouching in your posture or protruding ribs, sign up for a consultation with the podiatrist. The early stage of the disease usually does not cause concern in humans but should be treated carefully to their health, because it is at an early stage, the disease is easier to treat. If you look at the back shows that the angle of the scapula sticks out, it is a symptom of the curvature of the spine, requiring an immediate solution. Another symptom of the disease is considered next. Stand up straight, straighten the arms along the body. Will see if the same distance from the waist to pressed to both sides of the hands. If the distance is different, so the spine is curved. Lean forward, ask someone from relatives to look at your spine. When the body is tilted curvature of the spine visible. If you have back pain often, you feel painful muscle spasms in the region of the curvature, see the doctor, after inspection you will be sure to say whether you have curvature of the spine or pain associated with some other disease. 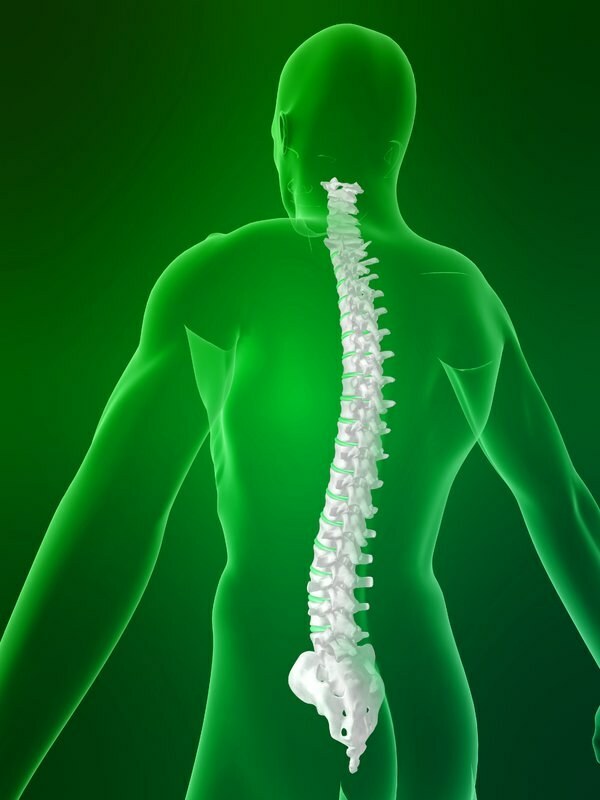 Weakness and numbness are often symptoms of diseases of the spine that is pinching the nerve roots of the spine. In complicated form of disturbed breathing, a failure occurs in the cardiovascular system and the digestive system. If the person has pain in the stomach, chest or even the head, it may also reflect the pathological processes in the spine. Usually these symptoms are characteristic of complex forms of curvature of the spine. If you do not start timely treatment, there is a risk of developing epilepsy, hypertension, or other pathologies of the respiratory tract against the background of this state. Scoliosis is a complex deformity of the spine, which has different causes and is divided into 4 classifications. The diagnosis of the degree of curvature is established after inspection and radiological examination according to the degree of deviation from the norm, defined in degrees. Radiological classification of scoliosis is carried out according to the method of V. D. Chaklin the First degree of scoliosis is a diagnosis which is put in the case, if the angle of deviation of the spine from the norm is equal to 1-10 degrees. In addition to the angle of deflection on x-ray can detect objective evidence during the inspection. The head of the patient can be lowered, shoulders rolled one shoulder girdle above the other. There may also be asymmetry of the waist, when bending forward arc is detected; if the patient is rectified, then the arc on the spine becomes invisible. The diagnosis of "scoliosis" put x-ray examination, when the deflection angle of the spine is 11-25 degrees. Appears asymmetry of the neck, the pelvis of the patient is uneven, and lowered on the side of the curvature, the lumbar has a deep cushion, while the thoracic spine has a significant protrusion. If at the first stages of the disease, the curvature can be detected only when the inclination of the second degree curvature is visible at any position of the body. The third degree of scoliosis. Radiograph showing the angle of deviation of the spine to correspond 26-50 degrees. The patient is skewed, there is strongly delineated by a rib hump on one side and the indents of the ribs on the other hand, muscle deep, on the side of a skewed arc edges contiguous with the iliac bone. The fourth degree of scoliosis is characterized by the angle on radiographs of more than 50 degrees, the patient is fully bent, the ribs in the curve fall on each other, while on the other hand the muscles are stretched to the limit and the intercostal space is maximally stretched. Third and fourth degree – this is a very severe form of scoliosis, which most often progresses and leads to complete immobility. Disturbed function of the heart, lungs, pelvic organs, which leads the patient to disability. The shape of the curvature at any degree of scoliosis may be C-shaped, where the curve of the arc, S-shaped with two arcs, E-shaped with three or more arcs. Localization of curvature is in the cervical-thoracic, thoracic, grodnovodokanal, lumbar and lumbosacral. If you are diagnosed with scoliosis, you must comply with all recommendations of the doctor, systematically undergo re-examination.